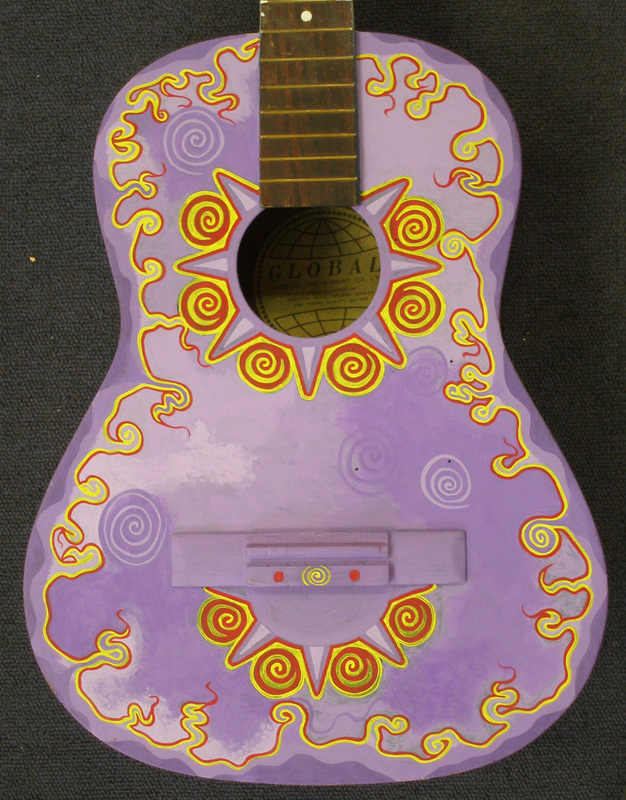 Just completed the current guitar painting this morning. Starting on the next one, but have decided not to post any progress pics of that one until after the April show begins, in hopes that you will come down to the show opening on April 2nd to see it in person! 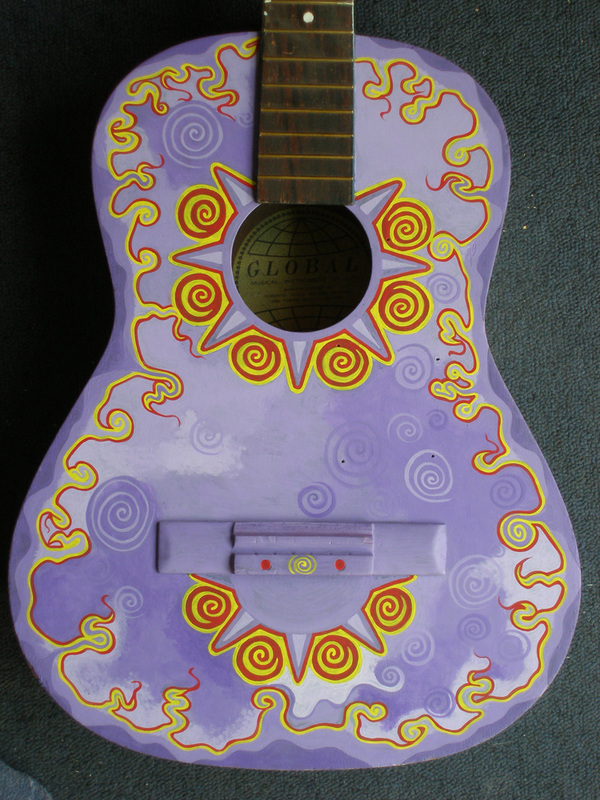 Just about done with this guitar painting!